4 Offbeat Ecotourism Experiences in India. In a country of 28 states, each with its signature culture, food, language, history & landscape, it’s not easy for a traveler to scratch the tourism surface of India beyond the golden triangle. The need of the hour, as recognized by Indian Tourism, UNDP and a string of social entrepreneurs, is to develop sustainable, responsible travel initiatives in high-potential regions of rural India. The joint efforts have culminated in 4 very unique travel experiences in India, not only for their offbeat destinations, but also for ensuring that your travels will help their communities develop in a sustainable way. Nanda Devi at dawn from Saini Kharak. Photo Credit: Sujoy Das. Mountain Shepherds is a grassroots initiative to ensure cultural survival and sustainable livelihoods in the Nanda Devi Biosphere Reserve, a breathtakingly beautiful Himalayan region in the northern state of Uttarakhand. The highest Himalayan peak in Uttarakhand, Nanda Devi, at 25,645 feet, is protected by the halo of a dozen peaks around it. Its unique landscape and geography has fascinated mountaineers for decades. However, in 1982, its gates were closed due to ecological pressures, when the whole region was declared a national park and biosphere reserve. This ban shook the economic and cultural foundations of the local Bhotiya people. In 2000s, when a new government opened the park to limited ecotourism, Mountain Shepherds was founded to develop a sustainable, community-based tourism, offering endogenous treks and unique insights into the ecology and culture of the region. 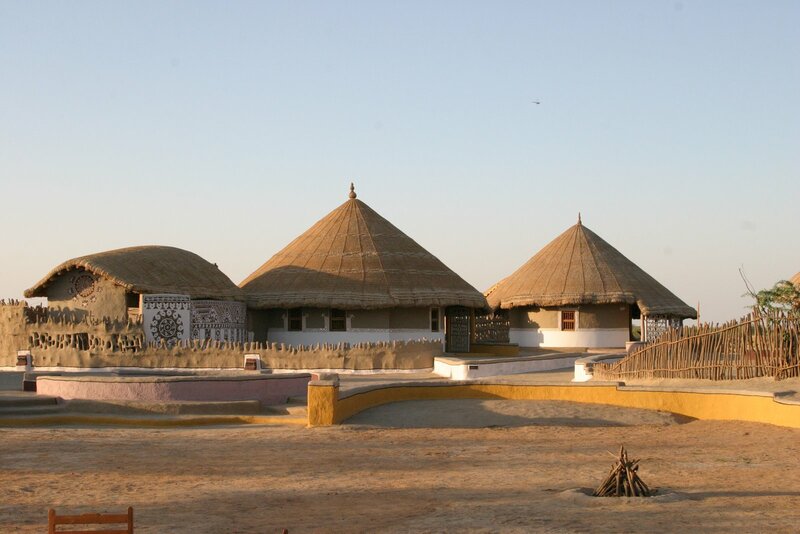 Located in the western state of Gujarat, Hodka village is perhaps the most typical village experience, in a tourism setting. The social entrepreneurship initiative, as part of Explore Rural India, is an effort to improve the quality of life of the locals by creating more livelihood option, while preserving the unique culture and crafts of the village. The village consists of 600 households spread across 11 hamlets, and the Shaam-e-Sarhad (Sunset on the Border) Rural Resort for travelers is laid out as the 12th. All tourism efforts employ the local village folks, from the construction of the 12th hamlet to the local music & craft workshops. The unique geography, climate and landscape of Spiti, its unassuming little villages, and the hospitality of its mountain people make it one of the most unique travel destinations in India. India Untravelled works with a local organization dedicated to fighting climate change in this cold mountain desert, and helps acquaint visitors with the ecology and legends of the valley; all its trips are carbon neutral; all emissions generated are calculated and offset through investments in renewable energy initiatives in the region, ensuring that your trips leave a zero carbon footprint in the Himalayas. 4. Ladakh, Jammu & Kashmir, on a wheelchair. Ladakh, and its largest city Leh, have gained considerable popularity as a Himalayan tourism destination. Himalaya on Wheels is a special initiative by Travel Another India and PAGIR (People’s Action Group on Inclusion and Rights), to make it possible for travelers on wheelchairs to experience its gorgeous landscapes. All revenues generated are channelled towards PAGIR, whose work in Ladakh aims to protect the rights of disabled people and provide them with livelihood options. Also read: Will your travel memories be someone else’s travel disappointments? To read & share more travel stories, join me on Facebook & Twitter. Asking this sounds dumb but since I still am in quite disbelief – Did you leave your job and would be travelling and blogging full time? I’ve seen couch-surfing. It’s a great concept to network with locals and help fellow travelers with accommodation. Last year, I was unlucky to be caught in a flood on my way to Spiti. And unfortunately had to return back to safety. Hopefully, I will be able to make it the next time. As far as Leh is concerned, if I cant go there before my death, then purpose of being born in India (that too North) would be defeated. I haven’t been to much Northen India other than my visits to Kedar and Badri, which I have enjoyed very much. I do not know I will be able to visit the cold regions of the country once again . But I would love to read them when somebody writes the travelogues. Reading your posts make me wish I am able to visit India and all those places. And that I will if you keep posting like that! Good to know about the eco friendly initiatives. Conservation is a big social responsibilty that comes on our shoulders as travelers/tourists or trekkers. We definitely owe mother nature and must play our part in helping sustain these precious treasures and conservation of environment and ecology. Thanks Adnan, I’m glad 🙂 My words barely do justice to the serene beauty of these places. I completely agree with you. More than what how we can benefit from our travels, we need to start thinking about the impact our travels make on the places we visit. Great post! I wonder if there’s anything that people like us (passionate about travel and providing travel opportunities/info to others) can do to assist/be a part of these efforts. Great landscape, Blue sky. All 4 ecotourism Place are awesome. Wow. I cant wait to get back here and spend more time. 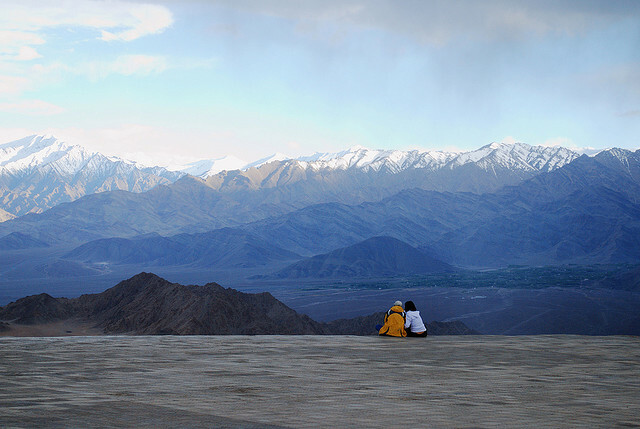 I believe Ladakh is one of the best spot for offbeat travelers and adventurers. 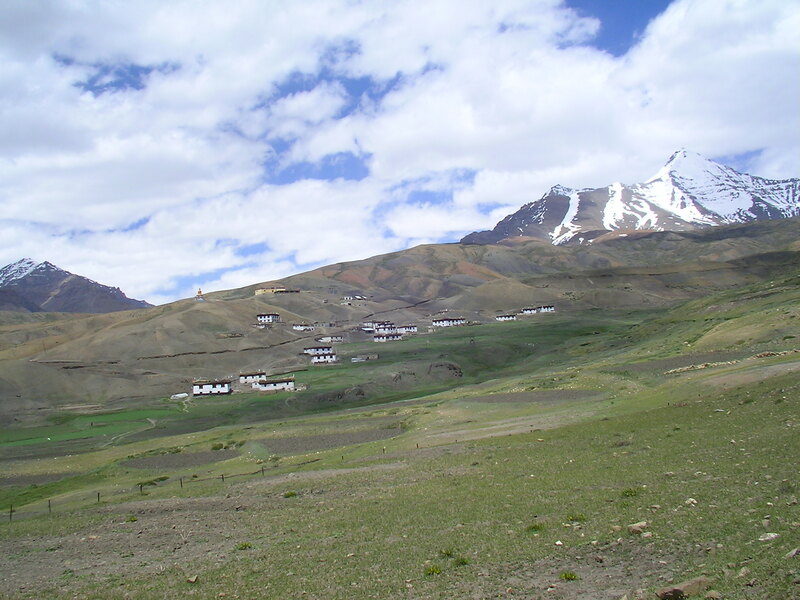 It is, but it’s lesser known cousin Spiti, is even more offbeat & adventurous! Hi shivya, just stumbled across ur blog and a big thumbs up! This is amazing! Hope to read more of your adventures. and coming to eco tourism, may be you must check Gavi in Kerala, I am still in a hangover almost half a year after my visit. Lovely reading this. We are mostly into eco-tourism, checking into eco resorts or go to destination which encourages sustainable tourism, so bookmarking this for sure. It’s good to see the wheelchair option for people who require that support.